If you have recently been arrested and charged with a criminal offense in Colorado, there are a few important legal issues you will need to take into account ad address as the criminal process unfolds in your case. In addition, there are several things you can do during the arrest that will most likely help you in the forthcoming criminal case against you. Here are some important things to remember if you have been arrested and charged with a criminal offense in Colorado. Remember your right to remain silent. Many times law enforcement does not know whom to believe and they may easily record events in the police report that end up being flat out false. In criminal arrest situations, it is possible to cooperate with roadside testing without agreeing to say anything. It it highly recommended that you talk to an attorney before talking to the police. Call a Colorado criminal defense attorney, preferably one with considerable experience in handling the kinds of criminal charges being levied against you. An attorney can set things in motion and give critical advice. If you are aware that you are a suspect or person of interest in an investigation, it is extremely important that you consult with an attorney as soon as possible. 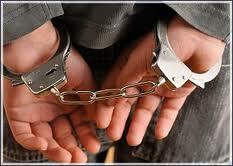 If there has been an arrest, work with your attorney to post a release bond as soon as possible. After a short period of time in your case, it generally becomes more difficult to obtain a reduction in your bond as opinions harden and the court and prosecutors move on to other matters. 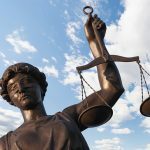 Many defendants choose to accept the free court-appointed attorney, provided they meet minimum income requirements, which currently encompass persons earning than $1,000/month gross income and are Colorado residents, among other requirements. Many of these defendants assume that the court-appointed and often inexperienced criminal defense attorneys will be able to get them as favorable a deal as hiring a private and more experienced Colorado criminal defense attorney. More often than not, people that take the cheap legal defense route pay far more in the end with harder sentences and fines that can have greater consequences in both the short and long term. Consequently, it is highly recommended that you give yourself the best possible chance of getting the best possible outcome for your particular criminal case. Choose and pay more for an experienced criminal attorney who is familiar with the court system in the city or county where your are being charged, as doing so is going to give you the best chance for success in your criminal defense legal process. Such an attorney will work most effectively within the local Colorado court system and prosecution, having dealt with the local prosecutor’s office many times before, and presumably avoiding the mistakes that most inexperienced attorneys tend to make, thus saving you time, money and perhaps even a little sanity in the long run. In sum, if you are arrested and charged with a criminal offense in Colorado, remember the above points during the initial arrest process and immediately seek an experienced Colorado criminal attorney who is familiar with the local court system in the city or county where your are being charged. Such an attorney will best help you understand the options you have in your case and will clearly explain what you can expect out of the case, ultimately speeding up the legal process so you can go on with your life. Remember your life and livelihood is on the line; don’t trust it to just any run of the mill legal representation!